This post was originally published on December 19, 2009. It was substantially revised and re-posted on December 7, 2015. This might be the most popular name for boys in the US. Our Baby Name of the Day is Jackson. We’ve been borrowing the surnames of loved ones and those that inspire us for generations, and Jackson is a great example. 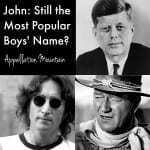 The name has charted in the US Top 1000 for boys every year since 1880. 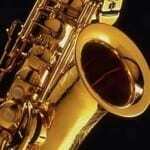 It hit a low of #832 in 1969, but has made a comeback since. By 2008, the name ranked #32, and in 2014? #17. That makes it the most popular form of the name John in the US at the moment. Jack stands at #41, and John at #26. But that’s before we add in Jaxon (#46) and Jaxson (#85). 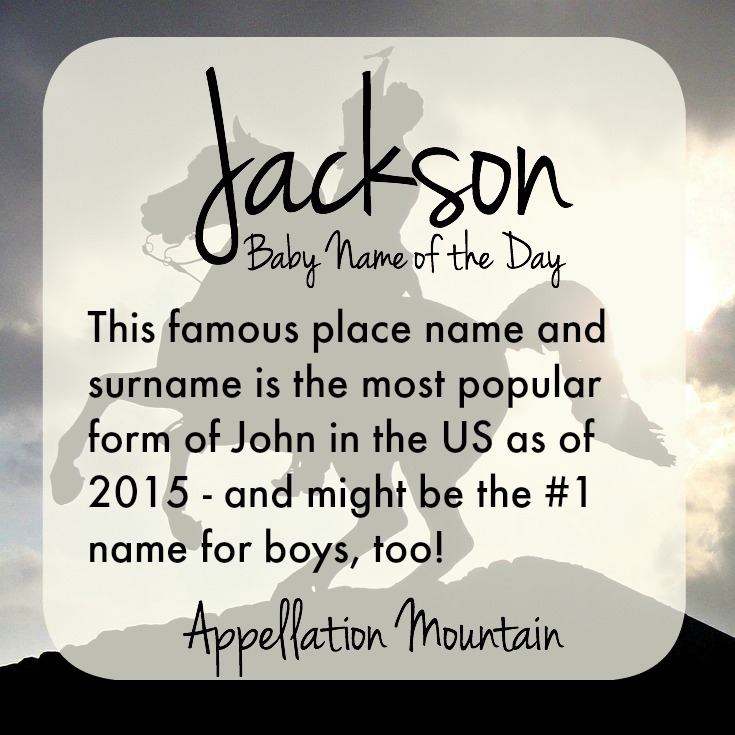 Tally them all up, and combined, Jackson becomes the most popular name in the US, more common than the current #1, Noah. So how do we get Jack from John? John has been a common name for generations. Instead of Johnny, in the Middle Ages, John might have been Jankin for short. Over the years, the ‘n’ was dropped and Jankin became Jack. Artist Pollock; the King of Pop, Michael, and his musical family; and Oscar-winning director Peter. It’s presidential, thanks to the seventh president of the United States. 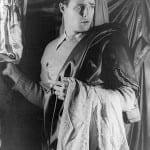 Athletes galore, from Shoeless Joe to Bo,as well as scientists, writers, and more. There was a 1988 movie called Action Jackson. A year later, Dermot Mulroney played Shelby’s husband Jackson in the celebrated movie Steel Magnolias, and the couple gave the name to their son, too. Dozens of pop culture references followed. The name was worn by the big brother in Hannah Montana, as well as characters on Grey’s Anatomy, Sons of Anarchy, Teen Wolf, and more. It’s also a name found all over the United States and beyond, in Queensland and Nunavut. Johnny Cash and June Carter recorded a song about a couple headed to Jackson – though they don’t say if it was the Mississippi, Tennessee, Alabama, Georgia, Kentucky, or Louisiana city … the list goes on. New Orleans’ Jackson Square is an especially well-known location, home to Saint Louis Cathedral, and named for the statue of the former president standing at the center of the square. With so many different associations, no wonder this name is popular. Since it’s a common surname and place name, doubtless many families have ties to this name. It’s a winning combination. But is it just too common? While the bad news is that the variant spellings could mean many little Jaxsons on the playground, and occasional confusion overing spelling, remember that even the most common names aren’t as nearly as popular as they once were. While it can no longer be calling surprising or unexpected, Jackson remains a handsome name with broad appeal. It’s a modern traditional choice for a boy that will wear well. Do you think Jackson is too popular to use? Do you prefer another form of John/Jack? I know someone named Jackson. When his mom was pregnant with him his older sister wanted to name him Jackety. My nephew is a Jackson. If I remember correctly SIL wanted Sutton or Oliver which are both family names and my brother wanted Cameron or Aubrey because “they’re different.” Instead they ended up with the the most common of the bunch as a compromise. LOL, Julie – I think that happens A LOT. I forgot to mention re: Steel Magnolias that Shelby and Jackson’s son was named Jackson Latcherie Jr., usually called Jack or Jack Jr.
Also in TV Land: On Gilmore Girls there’s Jackson Belleville, married to Sookie (interesting name) and on Sons of Anarchy Jackson also answers to Jacks (Jax?). My maternal grandfather was Anthony but everyone called him Jack. Jackson’s a place for me too. Jackson, NJ is home to Six Flags. A place I spent a lot of time at as a kid/teen. So I’d be far more inclined to use John, nn Jack. But a John of mine would probably get the retro Johnny. ala Johnny Quest. Now that appeals more than Jack! Jackson’s alright but not my cuppa tuna. Sometimes it seemed like every other woman on my birth board was going to be calling her son either Jackson, Jaxon, or Jaxxon (yes, we had a couple of those). I was a fan of “J” names back in 1997, but this is one that never really made my list, and now, after hearing it so much, probably never will. My son had a classmate named Jackson, born in 2004. His mom was inspired by the artist, but mostly wanted something that was just a little different. Jaxxon, yikes! It reminds me of Keanu Reeves’ character in Feeling Minnesota – Jjaks. 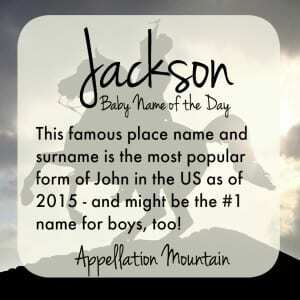 I know a Jackson who was named thus in order to have a full name to fall back on despite his parents’ intentions of calling him Jack. Eighteen months later, they still call him Jackson. It is very common in my area, probably more so than Jack alone. Meh, can’t say that I like this, it feels kind of low brow to me. I much prefer the more classy and distinguished Jack. Jeez! Slighlty off topic but Jack is only #39 in the US? It’s the number one name here, Australia, England/Wales, Scotland, Northern Ireland and Ireland. There’s so many I tend to drop them from the BAs I post (along with Charlotte and Sophie) which does give a skewed view of what’s going on. No small wonder I find Jackson slightly more refreshing. It’s innocuous and pleasant enough as far as surnames go but the pimped Jaxon, Jaxson and Co. spellings do my head in. I think a lot of this name’s appeal was boosted by Steel Magnolia in 1989. Julia Roberts’ husband was named Jackson and was played by Dylan McDermott. A line by Olympia Dukakis: “Jackson sounds like good people to me.” You can’t get a more ringing endorsement than that. The only name I remember from that movie was Shelby. That is not one of my favorites, but it sure stuck out to me in the film. Specifically about Jackson itself – I always want to put Hole after it (as in WY), and if other factors didn’t turn me off of Jackson for my own personal use, that does. That said, I don’t find the name awful, just not my thing. We had 4 Jackson’s on my daughter’s birthday party list. I see the appeal of this name, but am OVER it! I’d much rather meet a John nn’ed Jack. […] boys’ Top 100 reads like a phone book: Mason, Logan, Jackson, Dylan, Landon, Tyler, Jordan, Carter, Hunter, Cooper, Chase. […] George doesn’t scream Fab Four. […] Germany and Austria, Nico is big for boys, and it is also the name of a male character in the Percy Jackson series. Call it one of the true gender neutral choices for this generation. […] name for a son. 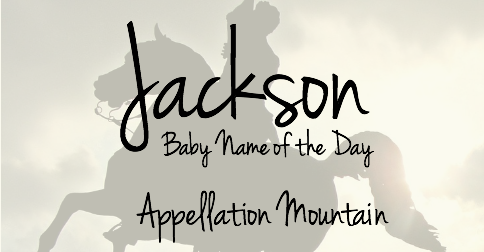 […] – Like Jackson, this one bridges the artistic/cowboy vibe. […] Latin crispus – curly. […] the related surname Jackson surpasses both, ranking #25. […] could only befall a part-supernatural kid. […] if only he hadn’t peaked a few decades earlier. […] at Baby Name Garden reflect the power of momentum.